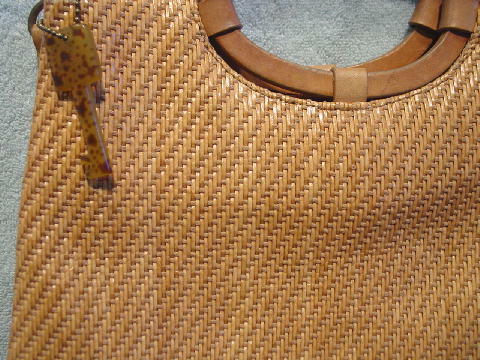 This straw and leather purse is a vintage handcrafted Fossil. It's in a golden straw with a light cocoa accent weave. The oval handles are leather and so is the top interior. 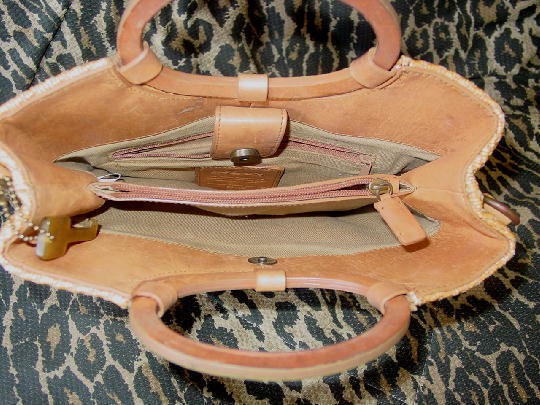 Below the interior leather is a light brown soft fabric lining. The interior has 2 large sections, a center zippered compartment (with ink marks on the fabric) and a zippered back pocket. There's a leather tab with the bottom of a snap which snaps to the top part on the other side. 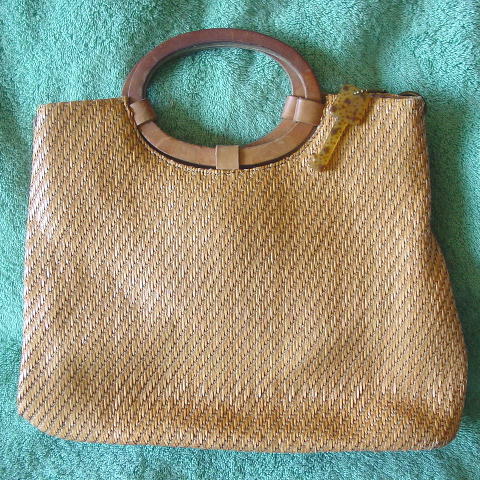 It has two outer top rings to connect a chain or shoulder strap. There is a plastic key with Fossil etched on one side and attached to a side ring by a little chain. The bottom lining has some stains and ink marks. It's from a former South American model.